Mourners sang and prayed for departed miners on Thursday over the graves of relatives killed in Turkey's worst mining accident, even as more hearses pulled up and backhoes dug more graves around them. Rescue teams recovered eight more victims, raising the death toll to 282, with 142 people still unaccounted for from Tuesday's disaster. No miner has been brought out alive since dawn Wednesday from the coal mine where the explosion and fire took place. 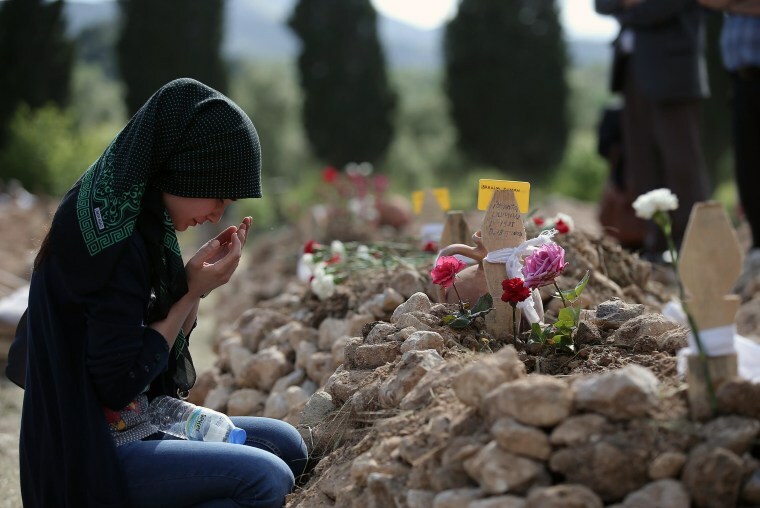 In the photo above, a woman prays at the grave of Ibrahim Duman, 26, a victim of the mine accident in Soma, on Thursday.